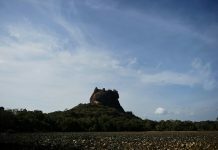 Sri Lanka announced on Thursday (November 10) it would lift a ban on foreigners owning property as the cash-strapped country sought to attract foreign capital to rebuild its war-ravaged economy. Finance minister Ravi Karunanayake told parliament of the potential to attract much-needed foreign investment in the construction sector, which is experiencing a boom following the end of the island’s ethnic war in 2009. “To further incentivise such investment, we will remove freehold right restrictions from the ground floor,” the minister said, referring to a 2014 ban on foreigners purchasing real estate. In a bid to encourage more foreign exchange inflows, the minister said the government will also allow individuals to bring up to $45,000 (£35,915) into the country without declaring the source, up from a previous limit of $15,000 (£11,974). Unveiling the annual budget for the 2017 calendar year, the minister slapped a new carbon tax on cars and sharply raised traffic fines in an effort to shore up revenues. The government is targeting a budget deficit of 4.6 per cent of GDP next year, down from 5.4 per cent of GDP this year, with foreign borrowings of $3.1 billion (£2.5bn) and $1.2bn (£957,031) in domestic loans helping to bridge the gap, Karunanayake said. The government will also focus on encouraging investment in the island’s war-ravaged north and east, offering huge tax concessions for start ups in the region, which is struggling to rebuild seven years after the decades-long Tamil separatist war ended. “I wish to lay emphasis on the fact that the government is committed to eliminate existing socio-economic gap between north and east with the rest of the country by 2020,” Karunanayake said. Cash-strapped Sri Lanka secured a $1.5bn (£1.2bn) bailout from the International Monetary Fund (IMF) in June after suffering a balance of payments crisis earlier this year.